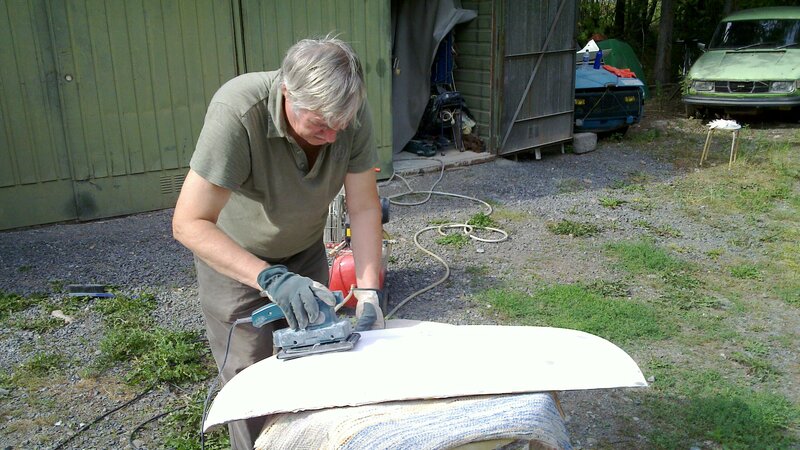 Dad sanding the right front fender – a lot of work on this one! Previous imageMore rubbing compond and elbow grease. After the clearcoat had thoroughly dried and hardened I polished rest of the wheel.